Doctrina Lux Mentis. That is the motto of my undergraduate alma mater, Centre College. Translated from Latin, it reads “Learning is the Light of the Mind”. Our motto was represented by a striking metal flame sculpture found at the heart of the campus. It is amazing to me that all three of these quotes are essentially saying the same thing. Education is not simply taking in information from another person. True learning happens when the flames of interest and imagination are ignited. In the Montessori elementary classrooms, we present five main Great Lessons to the children. Recently the students were given the lesson called The Story of Numbers. They learned about how our number system developed over time and also learned about other number systems. Following the lesson, several children became very excited about learning more about numbers and followed their interest accordingly. 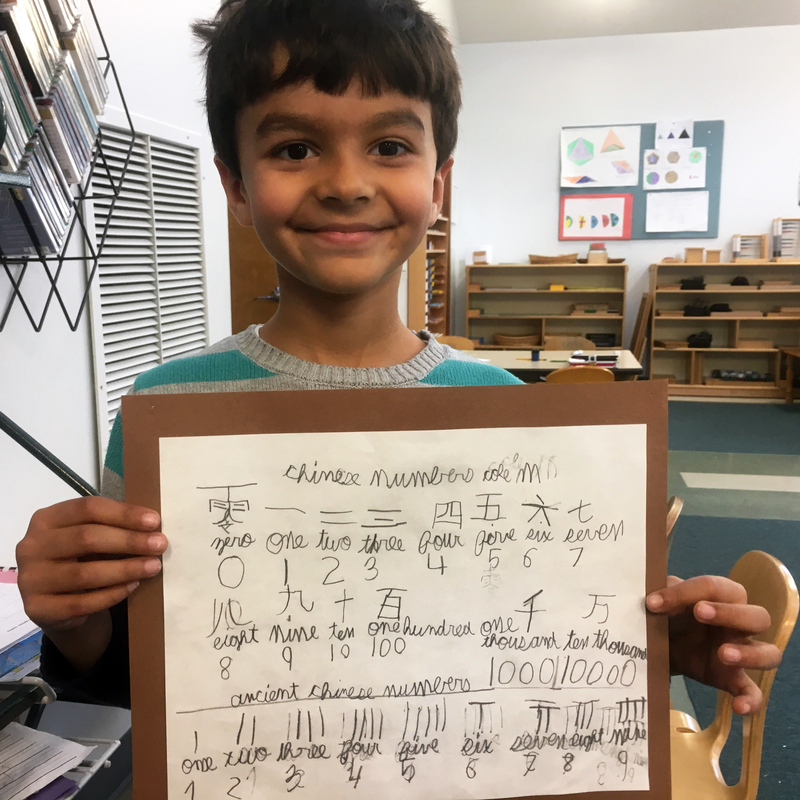 A second-year student independently researched Chinese numerals and made a poster based on what he learned. A first-year student used his knowledge of Roman numerals to make a chart of the Roman numerals from one to a million. This type of learning is what makes Montessori education truly unique. Through the lessons they receive and the stories they hear, the students are introduced to a universe of possibilities for exploration. Once the flame of their imagination has been ignited, a lifelong love of learning follows.